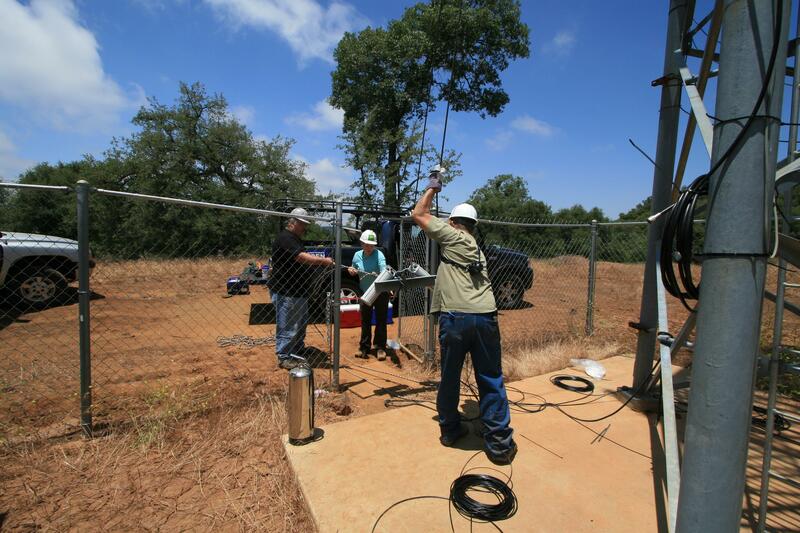 Extended collaborations between HPWREN and Native Americans now include networked sensors and environmental cameras. Utilizing the Tribal Digital Village Network backbone location described in http://hpwren.ucsd.edu/news/050701.html, the partnership decided to add a meteorological sensor, as well as a 360 degree view high-resolution environmental camera system for mutual use. With TDVNet staff providing access to the site, a team consisting of UCSD and SDSU staff, as well as two NPS/SDSU interns, undertook the installation. Originally, in 2000/2001, HPWREN connected three Native American reservations, specifically tribal learning centers. 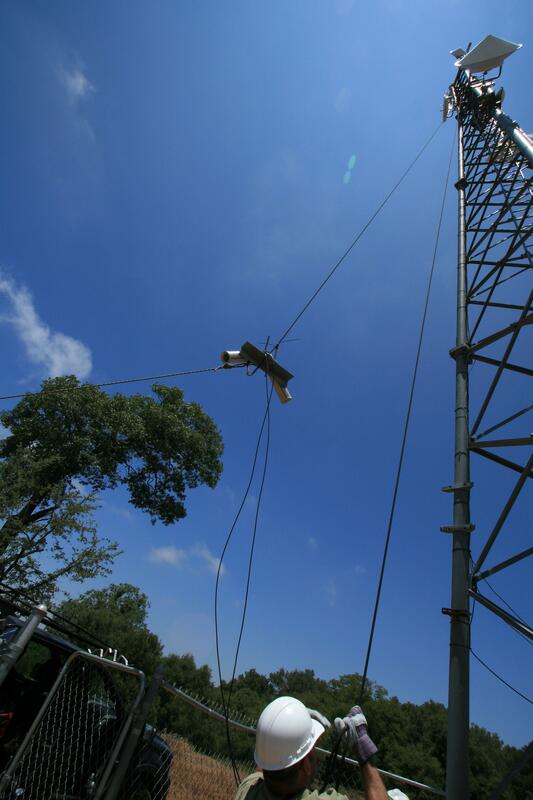 For the first connection at Pala, HPWREN did all of the installation work for the network connectivity and then worked with the education center director on programming initiatives utilizing the new high-speed connectivity. For the second connection at the La Jolla reservation, five tribal members worked with the HPWREN team on the construction process; once connectivity was established, the HPWREN team worked with the La Jolla education director on programming similar to the Pala model. In the third case, Rincon, members of the reservation education center's staff participated in the installation and then used the Pala and La Jolla programs to model their own. 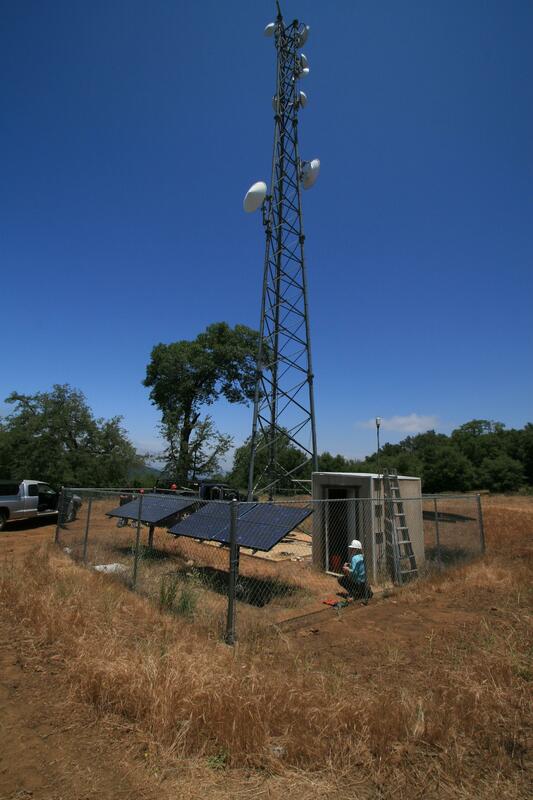 This early Native American direct involvement increased with each HPWREN reservation installation and eventually the connectivity was expanded to all San Diego County reservations via separate funding for the Tribal Digital Village Network (TDVNet). 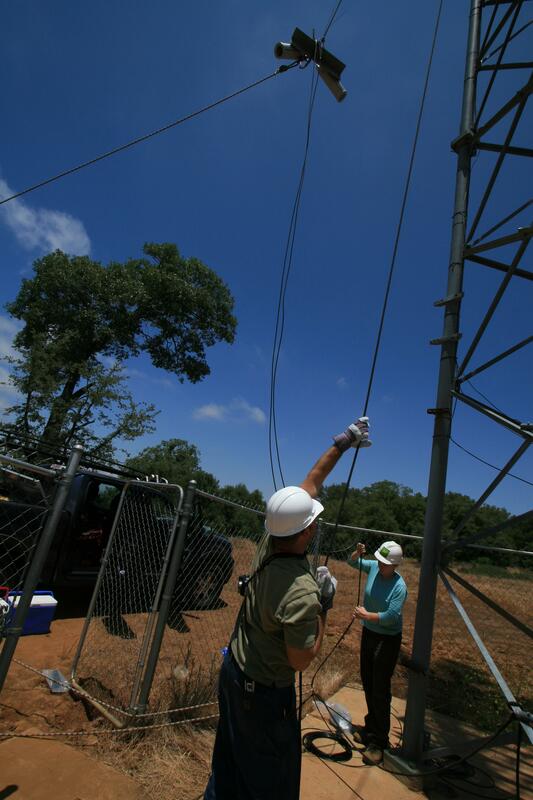 During this approximately nine-year collaboration of network construction, expansion, and distance learning programming, the HPWREN team served as technical advisors for the architecture, construction, and maintenance of the tribal-owned cyberinfrastructure. Simultaneously, the research team mentored and continues to mentor an array of Native American collaborators. One of the key collaborators is Tribal Digital Village Network Administrator Michael Peralta. In working to expand on HPWREN for the tribes he made significant design changes and improvements in the network architecture to better address tribal needs. Peralta stated that he is very excited about the continued collaboration between HPWREN and TDVNet. "The met station will provide key data on the development of the alternative energies that power our backbone. I also believe that the new cameras will help all of our Native American communities by providing us the opportunity of being better informed during emergencies like the 2003 and 2007 fires." 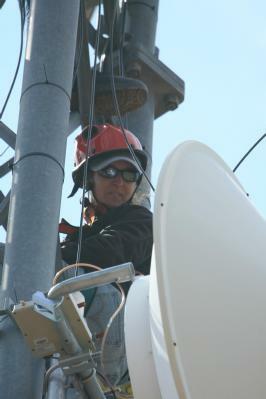 Significant continuing activities include distance education as part of the Live Interactive Virtual Explorations (e.g., http://hpwren.ucsd.edu/news/20080215/, TDVNet providing help to HPWREN connectivity via one of the towers they built, and, as described here, the start of a new collaboration on environmental sensors and environmental high-resolution cameras, all supported via the HPWREN and TDVNet network infrastructures. The TDVNet tower in the Mesa Grande area with so far only the Vaisala WXT520 meteorological sensor attached to the building (left). Jim Hale, Sarina Cassaro, and Pablo Bryant are preparing a set of cameras to be lifted up the tower (top). One of the two sets of dual-cameras is being raised to above the 60 foot level of the TDVNet tower. The four IQeye-702 cameras utilize wide-angle lenses to support a combined 360 degree view surrounding the tower location. 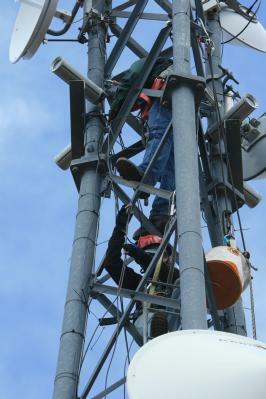 Ron Serabia (left) and Kelly Lion (left and right) are on the tower to install the cameras. 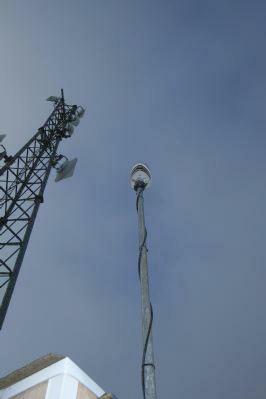 The completed installation shows the WXT520 meteorological sensor system, as well as the cameras on the tower. Data from the meteorological sensor is available at http://hpwren.ucsd.edu/Sensors/MesaGrande-WXT520/, and the camera images are at http://hpwren.ucsd.edu/cameras/MesaGrande.html. More installation photos are at http://hpwren.ucsd.edu/Photos/20090611/ and at http://hpwren.ucsd.edu/Photos/20090611.2/.